By Rappler.com Published Mon, Feb 13, 2017 1:24 PM MANILA, Philippines – Residents of several California towns have been ordered to evacuate late Sunday, February 12, due to fears of a dam failure. A hole was discovered at the emergency spillway of Oroville Dam, located in northern California, leading authorities to open up an auxiliary spillway to alleviate pressure on the 50-year-old dam, the Los Angeles Times reported. However, the increasing amount of water in the dam is threatening to flood downstream areas. "Immediate evacuation" of areas downstream from the Oroville Dam has been ordered by the Butte County Sheriff's office. "This is not a drill. This is not a drill. Repeat, this is not a drill," the National Weather Service said in its advisory. The damaged emergency spillway of earth-fill Oroville Dam, the tallest dam in the United States, is feared to collapse any time, local media reported. The reservoir has been filled to capacity due to water collecting there, caused by heavy rain and snow in the area that followed years of drought. 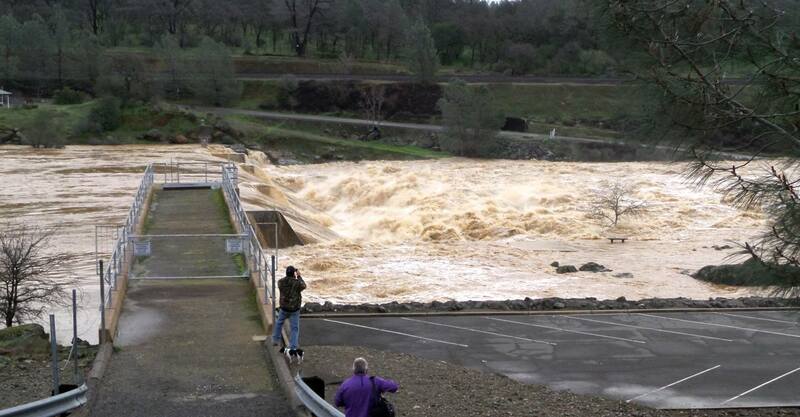 It is located along the Feather River, which then flows into the Sacramento River and out to San Francisco Bay.